Minimally invasive surgery has become a gold standard in lower limb trauma surgery: percutaneous surgery of the forefoot, knee and hip prosthesis and surgical treatment of trochanterian areas . All such techniques have only been possible since accurate and reliable landmarks for the surgical approach have been defined, suitable implants and instruments have been developed and techniques for reducing fractures and fixation of the implants described. Regarding wrist surgery, the posterior approach for the insertion of an intramedullary nail was considered the only minimally invasive approach so far [11,13]. This technique, which is exclusively indicated in the case of extra-articular fractures of the distal radius, is only used by a small number of surgeons . The anterior approach by Henry’s way tends to be today’s gold standard thanks to the increasing use of anterior locking plates in the surgical treatment of distal radius fractures. 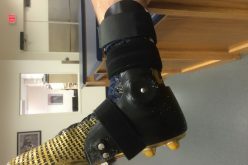 This approach makes it possible to decrease the negative impact of malunions, contributes to early mobilisation of the wrist and minimises the risk of complications, more particularly the complex regional pain syndrome type 1 ; however, this approach also has drawbacks such as the size of the incision that leaves unsightly scars, as well as the loss of ligamentotaxis due to the desinsertion of articular bone fragments from their capsular, ligamentar and muscular attachments. Such drawbacks led us to develop a minimally invasive technique . Most of our patients receive deferred emergency surgery, and are treated as outpatient under loco-regional anaesthesia. We use Step One® anterior plates (Newclip Technics™, Haute-Goulaine, France) including two proximal metaphyseal screws and two distal epiphyseal screws allowing for monoaxial locking. The two distal epiphyseal polyaxial locking screws for the radial styloid side and ulnar side have a polyaxiality with 20° of freedom. 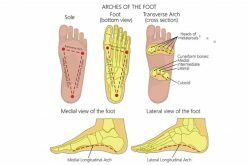 The reducing and fixation of the fracture is described step-by-step in Figures 1 to 8. Wound closure is performed without a drain. There is no post-operative immobilisation and patients are encouraged to use their upper limb – without any force movement – at the end of the anaesthetic block. Post-operative physiotherapy is not systematically prescribed. In the case of associated intracarpal injuries, a minimally invasive technique is performed at the same time. A fracture of the scaphoid can be fixed by retrograde percutaneous screw fixation involving a six-week immobilisation, and ruptured scapholunate ligaments can be treated arthroscopically using temporary internal wires followed by a six-week immobilisation. Minimally invasive surgery is becoming more widespread in all surgical disciplines. It is obviously justified cosmetically but also for technical and physiological reasons. From a technical point of view, it was demonstrated that a limited surgical approach preserved ligamentar and muscular attachments of the distal radius and carpus, and consequently made fracture reduction and stabilisation easier thanks to the ligamentotaxis [1,7,9]. This procedure runs totally counter to that described by Orbay et al. who recommend a nearly complete exposure of the distal radius to perform the fixation of the most complex fractures using anterior plates . From the physiological point of view, a limited surgical approach enables – at least on paper – surgeons to avoid ischaemic bone, necrosis of small articular fragments, or non-union of the fracture site that can sometimes be observed with extensive approaches combined with periosteal stripping in patients with comorbidities . Finally, a limited approach allows preservation of the fracture haematoma, which stimulates rapid bone healing . All minimally invasive techniques require a learning curve . Our surgical approach is no exception to the rule, and we recommend prior learning and practice on human cadavers to prevent joint and tendon complications. Many surgeons recommend the use of arthroscopy in the treatment of distal radius fractures when the reduction of a joint fracture is complex and/or when an associated intracarpal ligament injury is suspected [5,6,8]. We deem it is logical to associate the treatment of the fracture using a minimally invasive procedure with arthroscopic surgery for intra-articular lesions. To conclude, the fixation of distal radius fractures using a minimally invasive anterior approach appears to be a reliable and reproducible method. It enables the restoration of the anatomy of the distal radius and joint fractures. It can be associated with arthroscopic surgery, scaphoid screw fixation or insertion of a percutaneous wire. 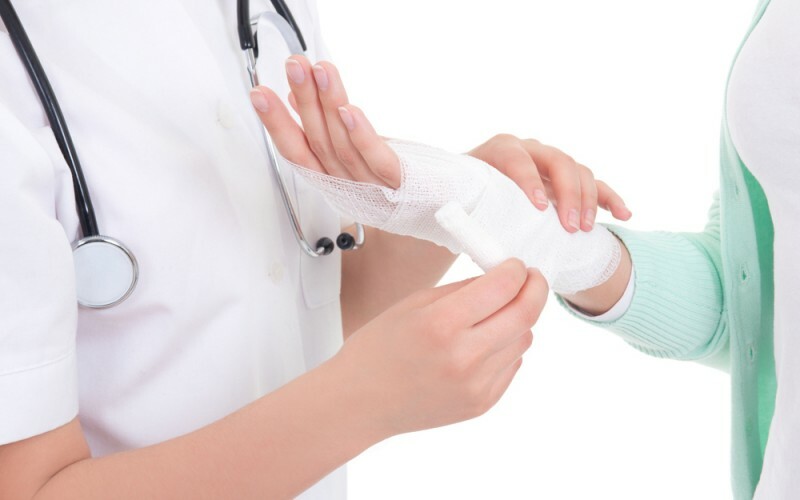 Most traumatic injuries of the wrist, whether of the bones or ligaments, can be treated using minimally invasive surgery. Cognet JM, Martinache X, Mathoulin C. Arthroscopic management of intra-articular fractures of the distal radius. Chir Main. 2008;27(4):171-9. Kapandji A. Intra-focal pinning of fractures of the distal end of the radius 10 years later. Ann Chir Main. 1987;6(1):57-63. Orbay J. Volar plate fixation of distal radius fractures. Hand Clin. 2005 Aug;21(3):347-54.